Southside Home Center is Wichita’s oldest and most trusted manufactured and modular home dealership. We’ve been serving the home needs of Kansas residents for over 16 years, and we’re not going anywhere! We’re proud to be firmly rooted in our community. If you’ve been to the Kansas State Fair, chances are you’ve seen us there for the past many years—we love to stay actively involved in local events. We strive to stay in touch with the needs and wants of our community—we work constantly to improve our business so we can better serve our customers. Southside Home Center is a family owned, locally owned and operated dealership. When you choose to shop with us, you’ll see this shine through in everything we do. We’ll treat you like family—we’re excited to get to know you! We’ll discuss your unique wants and needs for your new home, help you choose one that’s perfect for you, and work with you to customize it to match your personal style and taste. It’s our goal to fully support you throughout your home buying journey, and to remain here for you after the sale. You’re important to us, and we’re dedicated to taking good care of you. We wouldn’t want anything less for our family, and we won’t offer anything less to yours. Do you own land you’d like to place a new home on, but need to prepare the site? Do you own a manufactured home you’d like to trade in, but need an estimate? It’s our pleasure to help you out, and we don’t believe it should cost you a thing. We offer on-site consultations to all of our customers—free of charge. Get in touch with us and name the time and place, and we’ll be there. We understand that the purchase of a new home is a significant investment for you and your family, and well worth protecting. 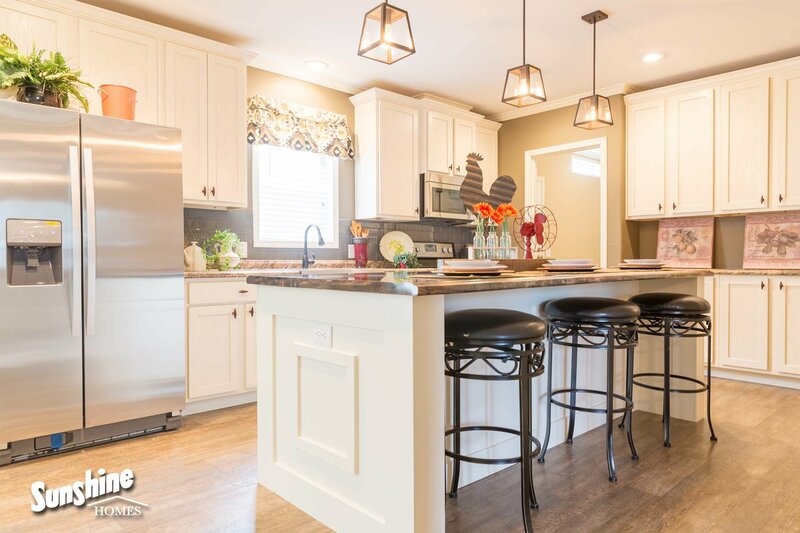 While all manufactured homes and modular homes come with a warranty from the home builder, you may find you need service or repairs that can’t wait. At Southside Home Center we understand this need, and we proudly offer a one-year dealer warranty on every home we sell. When you choose to shop with us, you can rest easy knowing that should any issues arise with your new home, you’ll receive warrantied service promptly. What’s more, you’ll receive it from the same folks you bought your home from—people you know and trust, and people with a deep knowledge and understanding of manufactured homes and their construction. We just want to thank Southside Homes for their tremendous help with the purchase of our first manufactured home. We are very happy! We had a very smooth, stress free experience—the staff was very professional and helpful. We highly recommend Southside Homes!